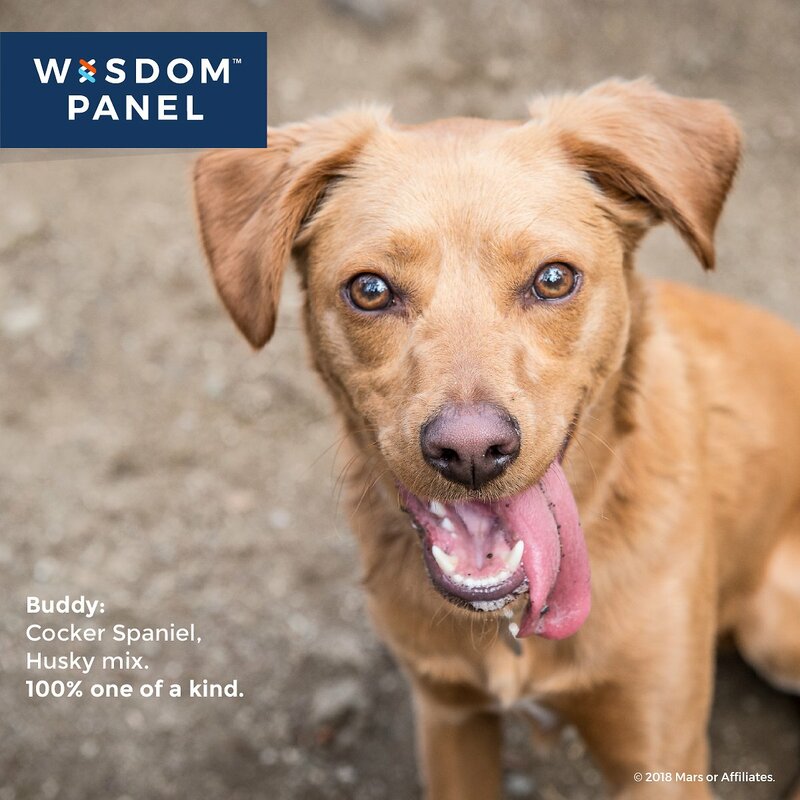 If you’ve ever wondered about the breed of your dog, the Wisdom Panel 3.0 Breed Identification Dog DNA Test Kit makes it easy to find out. 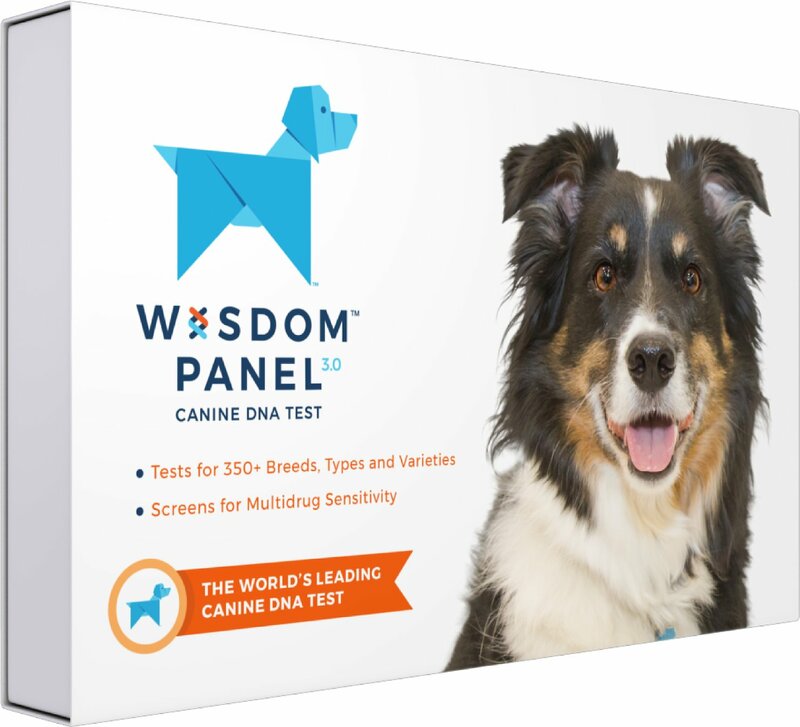 With this simple kit, you can swab your dog’s cheek, send it off in a postage-paid box and discover your dog’s genetic background in just 2-3 weeks. It’s traced back to the great-grandparent level with over 250 breeds detected, including almost all of those recognized by the AKC. 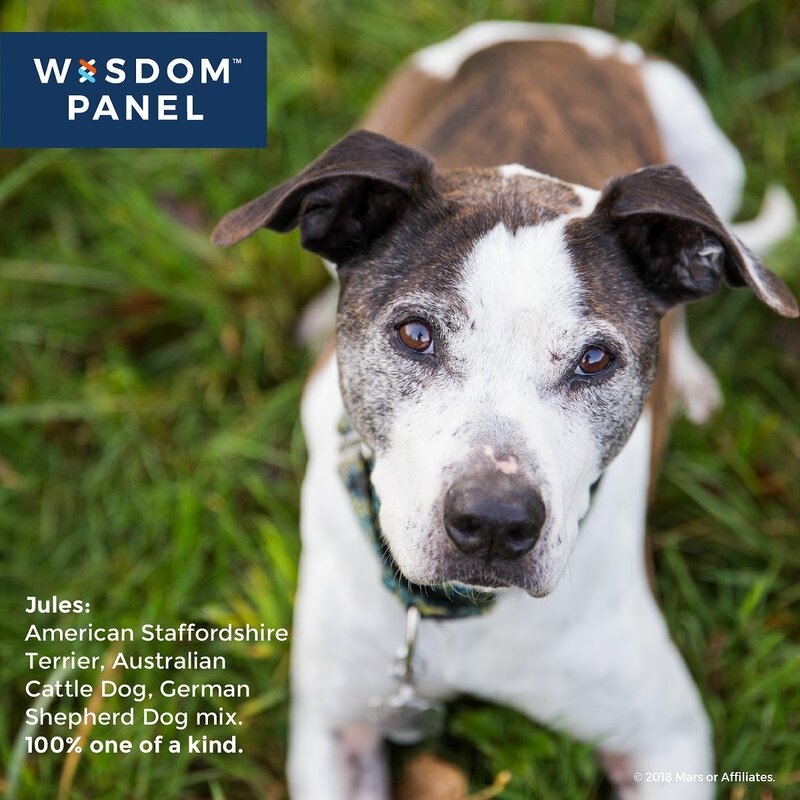 You decide whether you want the test to be run for mixed-breed, designer or purebred. All of the tests include a predicted weight profile and will check for the multi-drug resistance 1 (MDR1) genetic mutation that may cause severe adverse reactions to commonly prescribed drugs. The purebred and designer dog tests will also provide a chart that compares your dog with others of the same breed, and the purebred test adds a Homozygosity Profile that measures genetic markers. 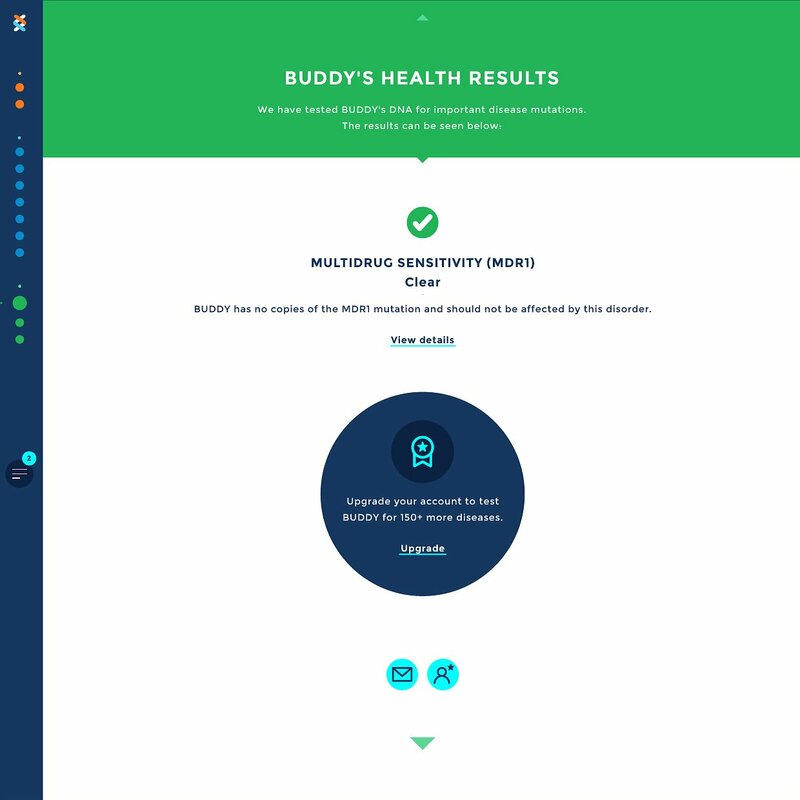 Detects over 250 breeds, types and varieties including 99% of AKC-recognized breeds. Traces 3 generations revealing your dog’s genetic background. Provides adult weight prediction to help with lifelong nutritional choices for you dog. Includes MDR1 genetic mutation test to check for multi-drug resistance that may cause severe adverse reactions to commonly prescribed drugs. No need for blood testing at the vet, DNA cheek swab identifies dog’s ancestry so you better understand your dog’s unique appearance, training needs, behaviors, and health/wellness needs. Perfect for use on rescues. 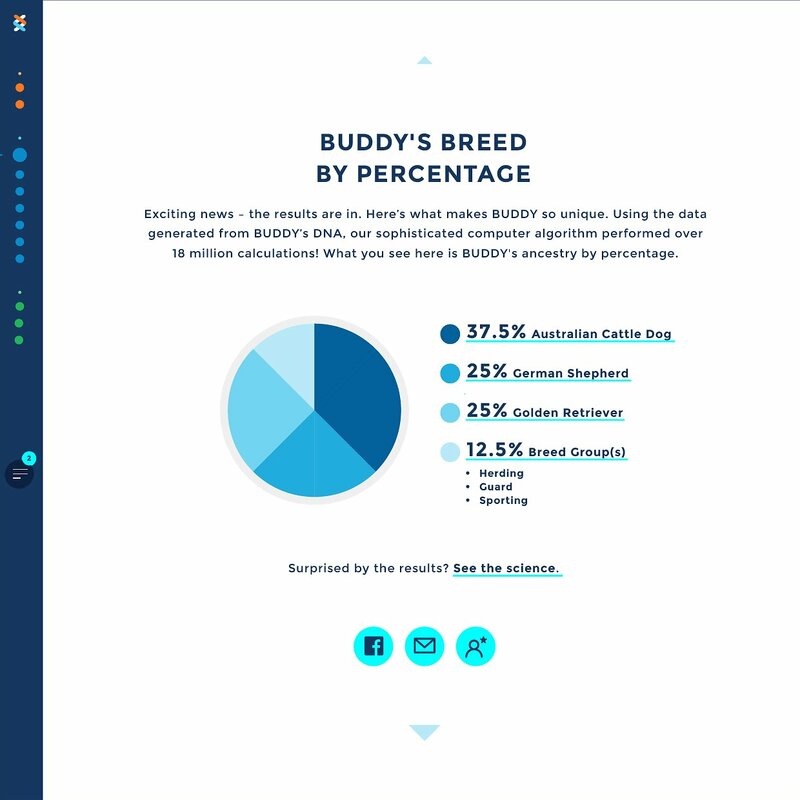 Customized report provides family tree going back to the great-grandparents and will detect whether it is a purebred, mixed-breed or designer dog. Check your results online in 2-3 weeks. OPEN SWAB SLEEVE – Peel back the edges of the swab sleeve about 1 inch (not all the way) and remove swab by holding its handle. Do not touch the bristles. Save the sleeve to place the swabs in for mailing. COLLECT CHEEK CELLS – Firmly roll the swab’s bristles between the inner surface of the cheek and gums for about 15 seconds for each swab. NOTE: DO NOT let your dog eat anything or share a water dish with other dogs for about an hour before you do the test. AIR DRY SWABS – Insert swab handle in the hole of the carton insert and allow swabs to dry for about five minutes. Repeat steps 1-3 for the second swab. ACTIVATE YOUR KIT –Activate your kit online. Fill out all the information, check it for accuracy and submit. You will receive an Activation Code Number that you need to write on the back of your Sample ID Sticker. REINSERT DRY SWABS – Reinsert both dry swabs into the protective sleeve they came in. DO NOT reseal as this can cause bacterial growth. SEAL THE CARTON – Place the sleeve with the swabs back into the carton it came in and seal. I’ll let the photos do the talking, but this test is just not true and a waste of money. I already knew my dog was part chihuahua, and was mostly interested in finding out what she’s mixed with, since she has Australian Cattle dog markings and some rat terrier qualities. The results came back as 50 % chihuahua , but then MINI POODLE and PUG?! I just can’t buy that. I bought this test for my new puppy, and while I appreciated how quickly they got my results back, it wasn’t worth it because the results were so off! I was told my puppy is a pitbull,chow-chow, Lhaso Apso,lab mix and she looks nothing like any of those dogs. We were told she’s a dachshund mix when we adopted her, and she definitely looks it. Don’t waste your money! It’s worth it to pay more for a better test! It is only informative if you have a very mixed dog and want a clue about its ancestry. Honestly, there was no real excitement in being told our adopted “pit/hound mix” is 67% American Staffordshire Terrier and the remaining percentage is in the “guard dog” category. I was hoping to find out something more specific about the guard dog genes. Perhaps it’s the limitation of this test or science in general. I got this for what I thought was a lab mix. Turns out I had a Great Dane, Boxer and Siberian Husky. There was a 25% id of a breed group and that can and does happen with rescues so be aware when you purchase. The description of what my dog looked like was spot on. I also appreciated the drug sensitivity testing and exercise induced collapse check. My dog was clear of both but would have been helpful to know if he wasn't. 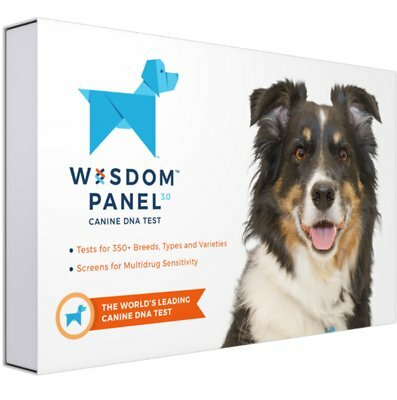 Not worth the price or effort - do not expect to know the breed of your dog - or it’s parents/grandparents with this test. I was told my dog was 75% Chihuahua - which we knew she was mostly - but the 25% it says could be about 20 different breeds. No real description of grandparent or great grandparent that wasn’t chihuahua. I was expecting much more info and to be able to say breeds of her and her parents - that’s not what I got. Waited two weeks for a report that was not what I thought I paid for. I received this in the mail today, followed instructions, and when I got to the step to go online to activate the product, it kept telling me I had an incorrect sample number. I don't understand this as I entered the number on the box that says sample ID, right by the arrow pointing to the sample ID. Pretty hard to mess that up. Tried to call customer service at Wisdom for help. Message said that everyone is in an all day meeting and no help is available. This is extremely poor customer service to have no one available. Now I have a test I started, but can't activate. Tomorrow I work, and won't be able to talk to anyone then. DO NOT order this product, waste of money. I had a feeling that the shelter where I adopted my dog from almost 2 years ago wasn’t right about what breed my dog but I had no idea how off they were. Getting this test helped me to understand some of the things in my dogs behavior that the breeds I thought she was just didn’t fit but now everything makes sense. So glad they have the test and appreciate the results. My rescue dog is around a year old. Her Petfinder profile claimed she was a hound mix, her original rabies vaccine vet record says lab mix, and I have called her a pitty mix, possibly with boxer. I was actually convinced she was a boxer mix because of the way she prances. Turns out...she's mostly American Bull Dog! One of her parents was a purebred American Bulldog the other was about 50%. She is 62.5% American bulldog, 25% Staffordshire Terrier, and 12.5% breed groups - Guard (Boxer? ), Herding, and Terrier. I totally see the bulldog now that I have the results. Although, it doesn't explain her size much because she's a petite thing at 45 lbs and American bulldogs are pretty big!